This is ridiculous. One Thousand Posts at Hacking Christianity. This blog began in March 2008. Since then, we’ve averaged 3 blog posts a week and this blog post is post #1000 (with 84 unfinished drafts in the wings). We’re also just a few ‘likes’ shy of 3000 on Facebook, and 3300 followers on Twitter. If you’ll forgive a retrospective…and if you don’t, well, thankfully this is a blog. 1000 posts ago…digital engagement changed. I was watching an online forum that I had founded for open interfaith discussion begin to decline. It used to be a strong group of 1600 members and 100 daily active topics, but those glory days were in the rear view after six years. Facebook and online groups with your friends and persons of shared interest had begun to take eyes from anonymous online forums for conversation. While others weathered the storm and carved out their niches, my site did not, and my own leadership of that forum faltered. It was time to let it go and shut down a dwindling community that was my theological companion through seminary. It struck me that anonymity was not helpful for sustained online conversation. I would write a forum post or contribute a blog post to another site under a pseudonym, and then meet the person I was writing about and I felt I could not say “hey, I wrote about you…” Instead, a personal blog under my own name was the way forward with integrity. While I don’t begrudge folks who use anonymity or pseudonymity effectively or out of necessity, I had the privilege and ability to post openly. 1000 posts later, while others may blog for personal promotion, I chose to blog out of integrity and a desire to create more sustaining conversations with people online and offline. 1000 posts ago…pastoral roles changed. I was a pastor of a small suburban United Methodist Church outside of Boston, Massachusetts. It was a half-time appointment, which meant that I only worked 40 hours a week 🙂 Kidding…but I did have time to pursue other related interests. Being able to find conversation partners online that I didn’t find in my local church was a helpful outlet for an extrovert to engage theological and spiritual topics. I didn’t advertise the blog with my local church but I didn’t hide it from them either. After serving churches in Boston and Oklahoma, I’m now serving as an Associate at a large church in Portland, Oregon. I’ve served churches in three jurisdictions as sole and associate clergy positions, on district and conference boards across the connection, on the planning team of national recruitment events for young clergy, and as social media coordinator for advocacy groups at General Conference. That sort of exposure to the varieties of United Methodism is very helpful to give a more holistic perspective to our church’s conversations, as well as readers in varied areas of the country that I know personally. 1000 posts (and three jurisdictions across United Methodism) later, I believe that ministry is about unlocking people’s spiritual potential and removing the chains and locks that other people, churches, and unjust doctrines have placed over people so the Spirit can reign in their hearts more than before. 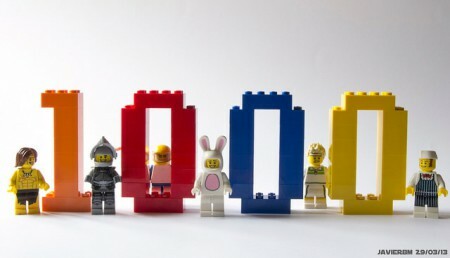 1000 posts ago…a geeky perspective was born. Back then, I wanted to write about the intersection of theology and technology. In seminary I had written a systematic theology about technology and theology, and that systematic birthed the idea that Christianity was a system that could be “hacked” to provide more freedom to the Spirit to move through human-made channels. It was a nerdy idea (with MUCH too long of a website name), but like I wrote above, it matched my personality, my interest, and it was rather unique. 1000 posts later, technology and theology continues to be the lens that we use here at HX as we engage the United Methodist Church and larger swaths of Christianity in being open channels of the Holy Spirit. My friends make fun of me using the royal “we” in the blog posts here (see the previous paragraph). At a clergy meeting last week, I got ribbed by my fellow clergy for a line in the Hamilton/Slaughter post of “we will reserve endorsement for later.” And more seriously, one of my friends takes me to task about using the “we” as if to imply there’s “corporate writing” or a “false consensus” being perpetuated here. Hacking Christianity is a community that engages in conversations about faith using the lenses of progressive theology, technology, and geek culture. We are a community, even if it is one person who writes the above. From posting guest content to fill in the cracks in my own perspective to writing about requested topics, a blog that is one-way would not be as successful as this blog is becoming if it did not have two-way voices. 1000 posts later, thank you for engaging and reading. I dedicate these 1000 posts to you and the next 1000 to you and whoever you share this site with.